The Sunshine State has a wealth of fascinating museums to explore, 422 to be exact, which places it among the top U.S. states in that number. In Florida, there are all kinds of museums ranging from the world-class art of Dali and Claude Monet, to mom-and-pop affairs, to exciting educational animal exhibits. There is something for just about everyone to explore, learn and enjoy! Here are the top 10 best museums in Florida. This always-praised museum has among its major attributes 1.5 million photos, maps, manuscripts, etc. that portray the state way back to 1883. Well before air conditioning was invented, in other words. The latter is generally considered the real key to Florida's success as a state. Sometimes turbulent South Florida history is also not neglected here. Most visitors can't help but be surprised by what they find out about the state. It says it has an "unparalleled" collection of the famed artist's work. No exaggeration at all. It's the largest collection of the Spanish artist's work outside of Europe. But that's hardly all there is to it. You don't have to be an art enthusiast to enjoy Dali's oversize drooping clocks and vivid imaginary scenes. You only need an open mind to appreciate his startling images. From its perch right on picturesque Biscayne Bay, Vizcaya is the rambling Italian-designed mansion and gardens that will take you back to a time when Miami's south side was choked with trees rather than traffic. Industrialist James Deering of tractor fame's 34-room home built more than a century ago offers a priceless collection of art objects. It is surrounded by serene European style gardens with fountains and statuary that will take you back to another time. And maybe wish you were there. When it comes to the art lottery, being close to a major university helps. The Harn is easily one of the greatest university art museums in the entire U.S. It also offers various traveling exhibits, live lectures and performances. The museum features African, Asian, modern and contemporary art and photography. The Harn is also a permanent home of Claude Monet's "Champ d'avoine (Oat Field)." It has 9,000 pieces of art or enough to see that you might need an entire day to soak it all in. Housed in a historic courthouse in the heart of downtown Orlando, this collection has four floors that explore 12,000 years of history. Highlights include tourism history from the teepee-style housing of the Wigwam Motel to more sophisticated Disney opening in 1971 that led to the world's No. 1 tourist destination. But the museum's nod to even more modern times is evident in their tasteful displays of more than 3,500 items that honor the 49 who died in the Pulse nightclub shooting, the worst massacre of its kind in the U.S. Museum staffers have been visiting the Pulse nightclub almost daily to collect pictures, posters and emotionally-moving remnants that are a stark contrast to the more traditional and sedate historical collection. Items include a bullet-damaged door and the blood-stained shoes a surgeon kept on his feet while working on 54 injured people during the long aftermath of the tragedy. With over 20,000 sea creatures, the Florida Aquarium is technically a museum of marine life. It's one of the top aquariums in the country. But for the daring, there's a lot more, like swimming with the sharks. Visitors can take part in a 90-minute simulated scuba dive in the aquarium's coral reef, a huge exhibit that is home to sharks from all over the world. "If you are a diver, but have never had the chance to see sharks less than two feet away, or at all in the open water this is a unique and safe way to do it," reports one blogger. Divers must be scuba-certified and older than 15. But anyone (even landlubbers) can view the activity from the exhibit gallery. The program is certified to be low risk, but it's even safer just to watch. It holds one of the finest art collections in the Southeast, with nearly 5,000 objects in its permanent collection. The museum offers world-class art spanning from 2100 B.C. through the 21st century, features diverse special exhibits, and is home to the Wark Collection of Early Meissen Porcelain. 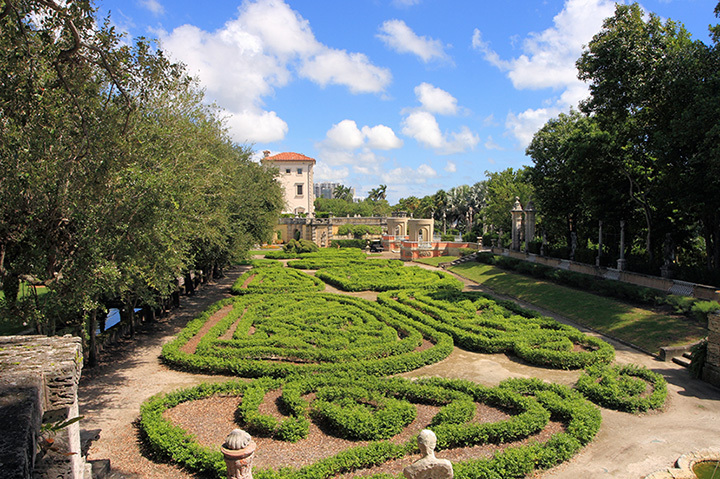 But there's also the 2.5 acres of historic gardens that are unique examples of early 20th century design with reflecting pools, many fountains and arbors, and antique ornaments and sculptures. The unusual Cummer Oak has a canopy of more than 150 feet. It's a sight in itself: one of the oldest trees in Florida. There are art programs for all ages. And if you really like the museum, you can rent it for a wedding, party or other special event. For those who might find it boring to ride the elevator 22 stories for a panoramic view of Florida from the Capitol Observatory or those with no interest in seeing the governor's mansion modeled after Andrew Jackson's home, there's this 52-acre lakeside museum that says it "has it all." Maybe so. The Tallahassee landmark is ranked among the state's best. The museum's living exhibits of native Florida wildlife, nature trails and native gardens have been renowned for more than half a century. This is one of the few museums in the U.S. that combines a natural habitat zoo of indigenous wildlife with a collection of more than a dozen historic buildings and artifacts. And there's everything from dinosaurs to an outdoor zip line with an adventure course. You can't find traveling circuses anymore in your local city, so the closest you may get is this tribute to another time…. perhaps even your own childhood. This is truly "the big top." It offers everything from clowns to acrobats, to animal trainers and high wire performers. There are two buildings with circus pageantry, artifacts, music, videos and special films. But even more than the circus of yesteryear, this museum traces the earliest roots of this unique entertainment venue. It's also a look into the world of P. T. Barnum, the "World's Greatest Showman," and John Ringling, the modern-day man who carried on his tradition. And did we include the world's largest miniature circus? In the typical hyperbole of the circus, a visit here is "death defying." There are lots of reasons to visit this area, including the fact that you go as far south in the United States as possible. One of the best reasons is to inhabit the world of its most famous resident, Ernest Hemingway. You can walk through the same luscious gardens he strolled or see the old wooden desk where he typed out his spare words on an old Royal typewriter. You can also see a display of Hemingway's "last penny." He had a boxing ring here but one of his wives, Pauline, replaced it with an expensive swimming pool. Hemingway once threw down the coin and said he had spent his last penny to pay for the pool. The house is also famous for dozens of cats that roam the grounds. Take a closer look at them and you'll find many have extra toes. They are believed to be descendants of the writer's own six-toed cat. But that might be similar to Hemingway's own fiction.